3D printing is mostly associated with the direct manufacture of prototypes or parts, but it can also be useful for producing the molds and tools used in more traditional manufacturing processes. 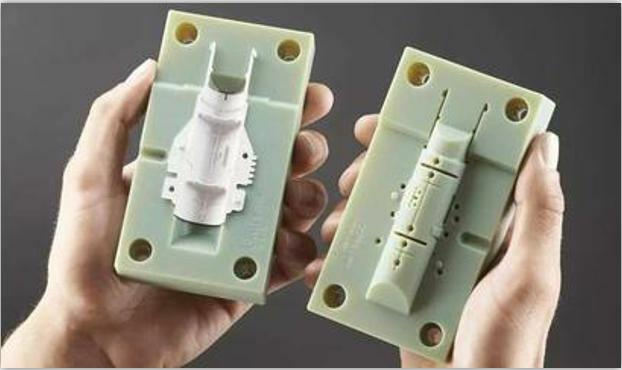 This article will take a detailed look at the various pros and cons associated with 3D printing the molds used in injection molding. Why 3D print a mold? The first issue to address is why you would choose to use 3D printing to create a mold rather than print directly or use a CNC machined mold. It all comes down to the specifics of the production run in question, and in particular the number of parts that need to be produced. For large production runs there is no doubt that a CNC machined metal mold is superior. 3D printed molds are not particularly durable and even when using the strongest materials they generally won't last for more than 100 injections. 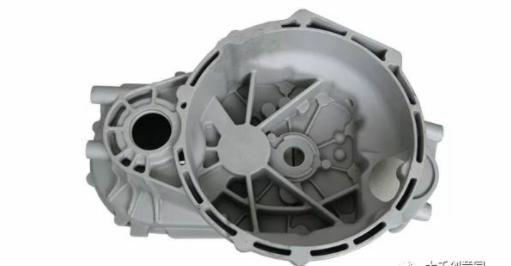 In comparison, a metal mold can produce tens of thousands of parts before needing to be replaced. At the other extreme, if only a very small number of prototypes need to be produced then it's best just to 3D print them directly. 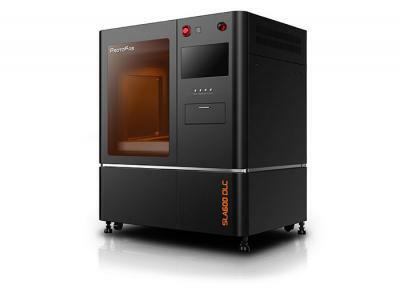 When it comes to prototyping additive manufacturing is hard to beat. 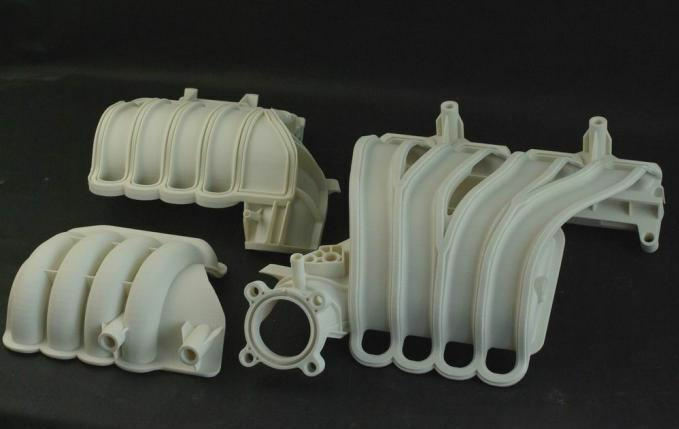 3D printed injection molds are best for a specific window where the number of parts to produce is substantial but still less than 100. There may be some cases where a specific material must be used that cannot easily be 3D printed, and in such situations it may make sense to produce a mold for a very low number of parts. 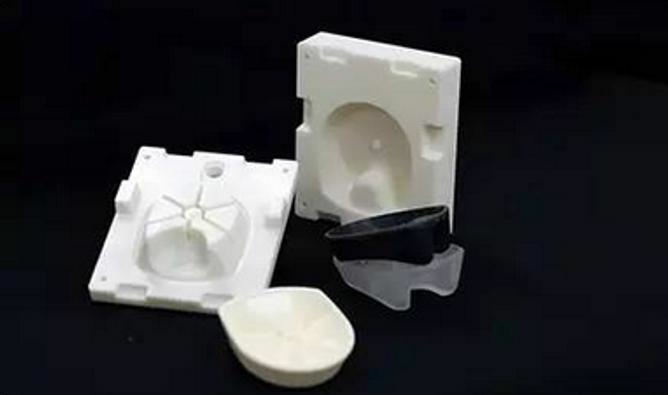 In general though, a production run of 50 to 100 parts will be most cost-effective for 3D printed injection molding, although this may vary depending on the specific circumstances. The main advantage of 3D printing a mold compared to producing a traditional mold is the cost. It's hard to pin down an exact price, but producing a CNC machined metal mold will usually cost several thousand dollars. This can sometimes even stretch into 5 figures for more high-end molds. The material costs of producing a 3D printed mold are extremely low, often much less than $100. If you take into account labor costs and other factors this figure will rise to some extent, but it's clearly the case that 3D printing a mold is significantly cheaper than producing it by traditional means. 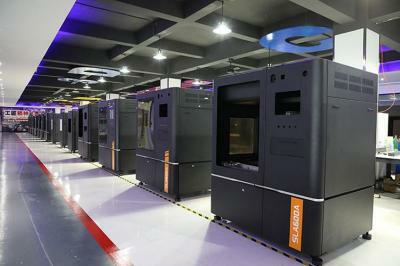 3D printed molds are also much quicker to produce and result in much shorter lead times. The total time taken to produce 100 parts or less using 3D printed injection molding should only be around 2 days, compared to more than a week for standard injection molding. 3D printed molds also allow for much greater flexibility. Often it is necessary to tweak a design or periodically produce a new iteration. 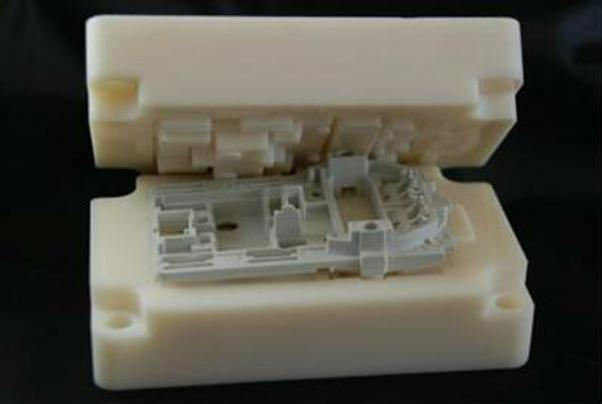 In traditional injection molding this can be prohibitively expensive given the costs involved with producing a new mold, but with 3D printed molds all that's required is a quick adjustment to the 3D model and the new mold can be ready for use the next day. As touched on above, the main disadvantage of a 3D printed mold is its lack of durability. Injection molding often involves very high temperatures, well beyond the range that that most SLA resins are designed to withstand. Heat-resistant resins are specially selected when printing molds of this type, but temperature is a major weak point. 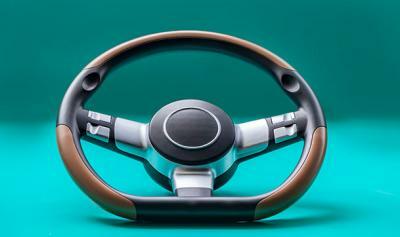 3D printed material is also not as hard as aluminum or steel. Each time a part is ejected a strain will be placed on the mold, and even the strongest 3D printed mold has no chance of surviving thousands of parts like traditional molds can. However, there are some steps that can be taken to improve the durability of 3D printed molds. For example, it's very common to insert the 3D printed mold into an aluminum frame. This has the effect of making the mold much more rigid and can also protect the material from the high temperatures and some of the abrasion. It's also important to integrate features like channels and air vents in the design of the mold. Channels allow excess material to flow out and significantly improves cooling, while tiny air vents just a fraction of a millimeter in size help get rid of any trapped air that might otherwise build up and cause issues. It's worth mentioning that 3D printed molds will need to be sanded carefully after printing. Even when using a very thin layer height there will still be some degree of staircasing and roughness, and a process of sanding and polishing is necessary to make sure this isn't transferred to the mold. To minimize the sanding required it's best print the mold with an orientation that ensures the support structures are only in contact with the back and do not influence the main face. Despite a few extra details that need to be considered, on the whole 3D printed mold design follows the same principles as conventional mold design. For example, for both types of mold it's a good idea to avoid perfectly square angles, as these can make it difficult to eject the part. Designers usually incorporate a small degree of slanting to help the completed part slide out, rather than making the edges completely vertical. Sharp corners are best avoided for the same reason, designers will usually make sure that all corners are slightly rounded. Other key areas such as taking steps to avoid flash (material seeping out of the mold during injection) are also shared between both styles. Anyone that has experience with conventional molds will be able to transition to 3D printed molds easily. 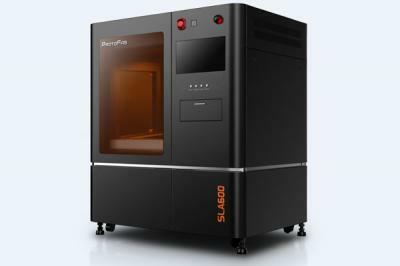 Industrial SLA machines like the ones at ProtoFab are capable of similar levels of accuracy as CNC machining, so precision generally isn't an issue. 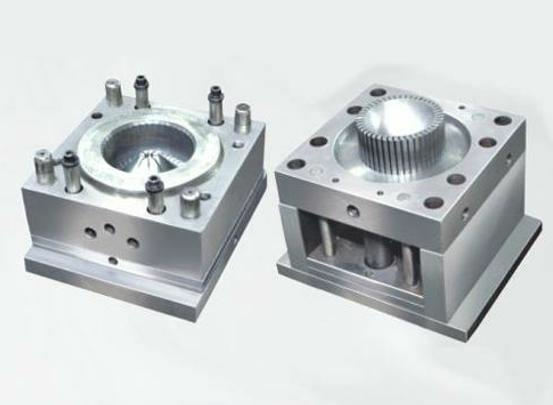 There may be some cases where very small holes or intricate threaded features need to be drilled or tapped during post-processing, but notwithstanding these the total processing time will still be significantly less than for the equivalent CNC machined mold. 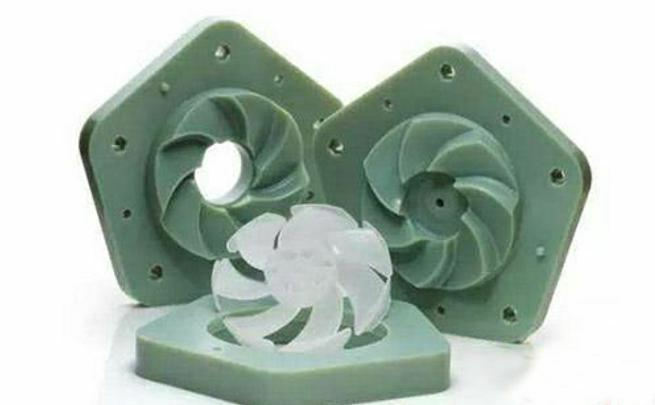 It's important to note that desktop SLA machines are totally unsuitable for producing molds, and other than SLA and PolyJet, most other forms of 3D printing have characteristics that make them unsuited to mold production. SLA is more cost-effective than PolyJet so that is the technique we recommend. 3D printed injection molding is an excellent choice when the circumstances are right. It's perfect for when the production run is more than just a few prototypes but can still be considered small-batch. It's also well-suited for when there are likely to be alterations to the design, for example a product evolving through multiple iterations. When the conditions are right this form of manufacturing can be more than 10 times cheaper than traditional methods, not to mention much faster. However, as detailed above, 3D printed molds are inferior to traditional metal molds in a number of ways so it’s best to weigh up the options carefully.